Peri-implantitis Dental Implant Treatment - Las Vegas, NV - SDSdental. For many people, dental implants are the best long-term solution to replacing one or multiple missing teeth. They are unlike any other tooth replacement option in that the titanium implant mimics the function of a natural tooth root, promoting a healthy foundation. 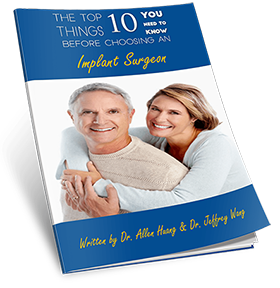 On a day-to-day basis, you should care for your implants in the same way that you would your natural teeth. Good oral hygiene plays a vital role in the long-term success of your implants. 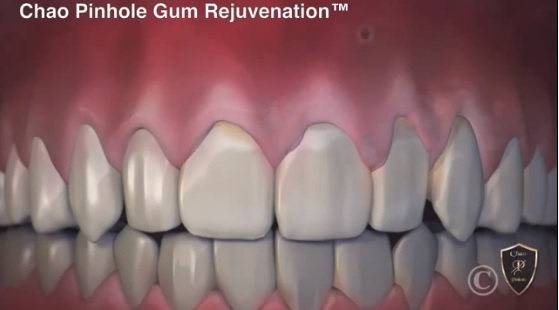 Implants, like natural teeth, depend on healthy gum tissue for support. If you do not remove the daily build-up of bacterial biofilm (plaque) from the implant crowns, an infection called peri-implantitis can grow and cause loss of attachment. 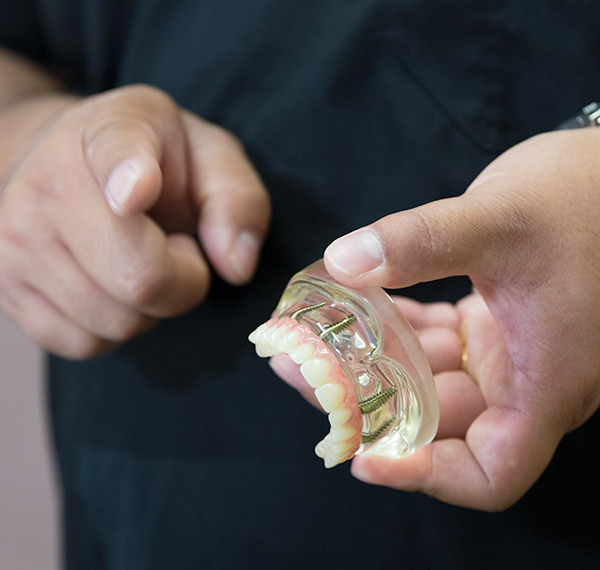 Peri-implantitis can quickly cause damage to the tissue and bone supporting the implant. The risk of losing the implant and the attached crown is also likely. Removing the infection is imperative to restoring oral health and preventing the loss of the implant and surrounding tissue. 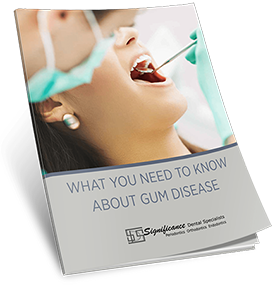 Common treatment options include removing the bacterial plaque with surgical or non-surgical options. Laser therapy is becoming increasingly popular, which is a minimally-invasive way of effectively eradicating harmful bacteria while keeping healthy structures intact. Check with our doctor to see if this is an option for you. 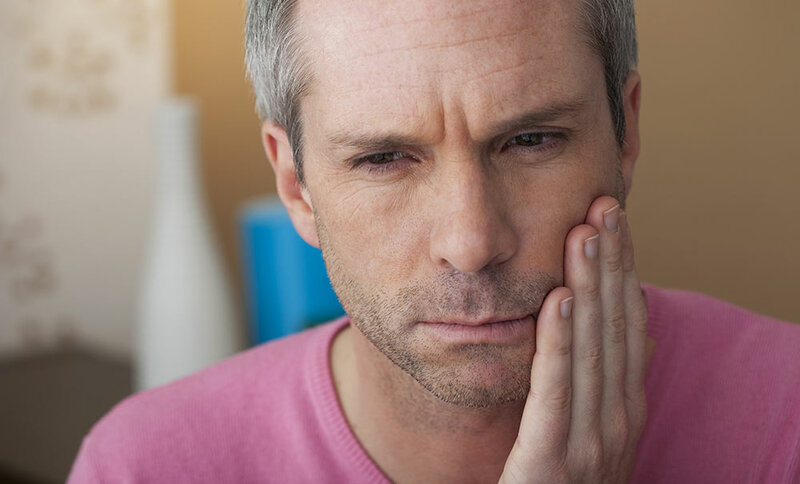 Additional procedures such as bone grafting may also be required if a significant amount of bone has been lost. Treating peri-implantitis can save your implant! If you are experiencing any of the symptoms of peri-implantitis we encourage you to contact our office as soon as possible.